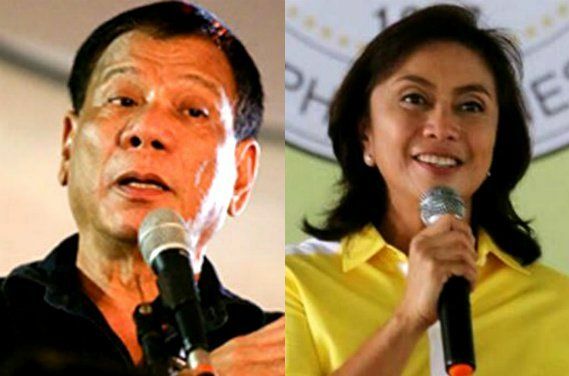 Thinking Pinoy: The Impeachment Numbers Game: Will Leni and Bolet enjoy South Africa? The Impeachment Numbers Game: Will Leni and Bolet enjoy South Africa? It appears that Leni Robredo can look forward to several sleepless nights while on her South African escapade with Fafa Bolet next week. In retaliation to Leni Robredo's controversial UN/DRCNet video and Trillanes' Duterte impeachment complaint, House Speaker Pantaleon Alvarez first mentioned his plans to impeach Robredo on 17 March 2017 [ABS]. Alvarez's stance wasn't very definitive at that time, until his word war with Robredo escalated on 20 March 2017 [ABS]. Yes, on that day, the prospect of a Robredo impeachment trial – and subsequent removal – has become oh so real. Prior to Alvarez' March 20 anti-Robredo remarks, LP was largely silent about the Duterte's impeachment case, essentially leaving all the acoustic tasks to Trillanes, its de facto attack dog. However, after Alvarez demonstrated his resolve on the 20th, LP's rhetorical strategy changed. On 21 March 2017, Deputy Speaker Miro Quimbo, an LP stalwart, declared that House LP's will not support Trillanes' anti-Duterte impeachment complaint. Quimbo knows that his statement this is more of a symbolic gesture than anything else, considering that a vast majority of LP's members have bolted to PDP-Laban to form a supermajority in as early as June last year [TP: Plan “B”]. And what does it symbolize? The Liberal Party essentially says that they want a truce vis-a-vis impeachment. They know that the numbers are not in their favor. Then the picture got even clearer two days later. Why the sudden opposition to impeachment after Alvarez floated the idea of a counter-attack? Because LP knows that the the administration have the numbers in congress, the crucial numbers that it painfully does not have. LP, or at least that part of LP that still supports Robredo, is deathly scared of losing the vice-presidency, and this fear arising from the lack of numbers is best evidenced by a statement from no less than Robredo legal counsel Barry Gutierrez. Yes, Gutierrez acknowledged that there's a pretty good chance that Leni will be impeached by the Lower House. But wait, what impeachment complaints are we talking about? At least two impeachment complaints will have been filed before May 4th, or the start of the next congressional session: one from Atty. Oliver Lozano [Star], and another from the group of lawyers and academics [Inq]. We can dismiss Oliver Lozano's complaint because he's just a “serial filer”, i.e. he files these just for the sake of filing and, sources say, with little regard to the substance of the complaints. Case in point: he has filed impeachment complaints against every president after Marcos, none of which got past the House Justice Committee. There's also a pretty good chance that House Speaker Pantaleon Alvarez will file the third impeachment complaint [TV5]. Upon his arrival from a State Visit to Myanmar and Thailand, President Rodrigo “Daddy D” Duterte has made his position on the matter clear: he doesn't want Leni impeached. “Look, we just had an election. Guys, lay off. Stop it. You can do other things but do not tinker with the structure of government. I will not countenance (support) it,” Duterte said [CNN]. Ano ba talaga, Daddy D? At first glance, I think many Filipinos received mixed signals from the Duterte Administration. On one hand is Duterte's opposition to Leni's impeachment, and on the other is Alvarez' open defiance to the president's wishes, i.e. Alvarez wants Leni impeached. Okay, hold on one second. Duterte said he doesn't want Leni impeached, but one of his men – DILG Assistant Secretary for Plans and Programs Epimaco Densing [DILG] – was actually part of the panel of lawyers and academics in yesterday's press Impeach-Leni conference [TV5]. Yes, one of the President's men is supporting one of the sets of impeachment complaints. Either Densing is a rogue bureaucrat, or a part of Duterte wants Leni removed, despite the other part calling for the preservation of the status quo. Whatever the case may be, the Alvarez-led Lower House supermajority [Star] makes one thing clear: Articles of Impeachment will most probably be transmitted to the Senate in as early as May 4th, that day when the Lower House resumes its regular session. Yes, at the rate things are going, an impeachment trial is almost certain, and it's just a matter of time before it commences. No. It's not that simple. Let me explain the why and the how. Let's assume that the one of the impeachment complaints (or a consolidated complaint) will be transmitted to the Senate as Article of Impeachment. The Senate will form an impeachment court after it receives the Articles of Impeachment from the the House of Representatives. The constitution says the Chief Justice will preside if the one on trial is the President [Gov] but it's the vice-president on trial this time, so Senate President Aquilino “Koko” Pimentel will preside. OFFTOPIC: That's kinda unfortunate. It would have been fun if it's Chief Justice Lourdes Sereno. Her EQ is so low, her biases will surely show, exposing her to public scrutiny. Historically, the impeachment trial commences a month after the transmittal. Assuming that the complainants manage to get 100 votes (the required one-third equals 99 votes then let's just add 1 as insurance) right away, the transmittal will be on May 4th (start of congressional session), so we can expect an impeachment trial to commence on or before mid-June. We can also expect the impeachment trial to last for at least two months. Let's skip the impeachment hearings for now and zoom to the “day of reckoning, or the day the senator-judges cast their votes. A conviction requires a two-thirds majority vote from the Senate [Const]. With 24 senator-judges, that means 16 “convict” votes are required to remove Robredo. There are sixteen non-LP senators in the generally pro-Administration Senate Majority, 2 LP senators in the majority (Recto and Villanueva), and six in the minority (De Lima, Aquino, Pangilinan, Hontiveros, Trillanes, and Drilon). At this point, we shall modestly assume that all minority senators, plus the other two LP senators, will vote “acquit”. This is a precarious situation, as we will never know if one of the 16 senator-judges from the majority will vote “convict”, or if some of them will suddenly decide to vote “acquit”. For one, majority Senator JV Ejercito expressed his opposition to both Duterte's and Robredo's impeachment, saying that “impeachment processes are both destructive and divisive [Gov]”, suggesting that he may vote to acquit Robredo should a trial ensue. That brings down the maximum number of “convict” votes to just 15, one short of a two-thirds majority. However, Ejercito is just a first-time senator whose term ends in 2019 [Gov], i.e. he's up for re-election in 2019. What political gain will there be for him if he acquits Robredo? Ejercito voting to acquit Robredo would be political suicide, although it's up to the Filipino public to make him realize it at the soonest. The same goes for the other re-electionist majority senators... and there's a lot of them. Yes, the prosecution has the opportunity, but it faces a tough road ahead. However, senate sources told me that there's a chance that Senators Ralph Recto and Joel Villanueva, despite still being part of the minority Liberal Party, may be convinced to vote “convict”. My senate sources told me that Recto is unhappy with the Liberal Party since the time former Pres. Aquino vetoed his bills (e.g. the January 2016 SSS Pension Hike Law) in the previous congress. The same source told me that Recto has become an LP pariah, as he was not even invited by other LP senators during their June-July discussions about who will become the Senate President. Remember the time when administration-aligned Senator Manny Pacquiao recently chose to nominate Recto as Senate Pro-tempore [GMA] after the majority ousted LP Senators from their chairmanships? Yes, that's a clue. Meanwhile, Senator Joel Villanueva has always had bad blood with Senator Leila de Lima, who recommended the filing of graft charges against the former when the latter was still Justice Secretary [Star]. Yes, Villanueva and Recto, with a little “prodding” from administration party PDP-Laban, may vote “convict”, bolt LP and join PDP or some other party. After all, despite their being in LP, they still chose to remain in the Senate majority. Senator Leila de Lima, however, is currently in detention and I see no reason how she will be freed in the next three months, so it's safe to assume that she will not be a senator-judge, considering that Trillanes was not allowed to participate in sessions of the 15th Congress (2007 to 2010) prior to his 2010 pardon, courtesy of then-President Noynoy Aquino. With that said, there will be at most 23 senators who will decide on the case. Two-thirds of 23 is 15.33, so a conviction will still require 16 votes, as 15 votes is less than two-thirds. ...there's a catch, a very interesting catch. Senator Antonio “Sundalong Kanin” Trillanes is known to be Edgar Matobato's protector, with the latter being in his custody up to now [TV5]. Thus, it's theoretically easy for the prosecution to argue Trillanes' lack of partiality and have him forcibly disqualified as a senator-judge under Sec 1, Rule 137 of the Rules of Court [AM]. Of course, he could voluntary inhibit but his reputation for arrogance makes that scenario unlikely. So yes, he has to be forcibly removed as a senator-judge. Assuming that Trillanes does not participate by forcible disqualification, that leaves us with 22 Senator-judges, two-thirds of which is 14.67, so that a two-thirds majority vote will just be 15. A 15-vote requirement to convict gives the sixteen-person senate majority (plus the two LP wildcards) provides the pro-impeachment side lots of wiggle room, i.e. it makes Robredo's removal much more likely. Now, another source – one of the lawyers preparing the impeachment complaints – also told me that they can even potentially asked for the forcible disqualification of Franklin Drilon, after the lawyer claimed that they have evidence showing that Drilon helped fund or organize anti-Duterte black propaganda. If Drilon will be disqualified as a senator-judge, that brings down the total number of judges to just 21, making a two-thirds majority vote equal to just 14, providing the pro-impeachment clique even stronger, though I doubt that the prosecution will push it this far because it may erode the legitimacy of the prospective impeachment court... although desperate times may call for desperate measures. Who knows? Whichever the case, I think it's safe to say at this point that the odds are stacked against Leni Robredo, that a conviction is, at the least, slightly more likely than an acquittal. Let me summarize what I have discussed. FIRST, Alvarez' fury and the Duterte-aligned supermajority makest Leni impeachment in the Lower House almost certain, i.e. a Senate Impeachment Trial is extremely likely. SECOND, there are sixteen senators in the Duterte-aligned Senate majority, exactly the number required to convict Robredo. There's a risk however, that some of these majority senators like Ejercito may acquit Robredo, so it's still gonna be a tough task ahead for the prosecutors with this kind of setup. THIRD, minority senators Recto and Villanueva, both disgruntled with LP, may convict Robredo if given the right deal by Duterte-aligned forces, so that total number of potential convict votes is 18. FOURTH, the prosecution may move to disqualify Trillanes. With De Lima unable to participate due to detention, the total number of senator-judges is 22, so that only 15 votes are required for a two-thirds majority conviction. That provides more wiggle room for the prosecution because they can get a conviction even if three of the 18 senators choose to acquit Robredo. Note, however, that two high-profile attorneys I consulted have differing opinions on the issue of inhibition/disqualification of senator judges. The first one said senator-judges may be forcibly disqualified, while the other argues that only voluntary inhibitions are possible per precedent. Hence, the feasibility of this #ByeByeTrillanes scenario is still in question. FIFTH, the prosecution may also move to disqualify Drilon, though unlikely. If the prosecution decides to push it this far, this brings the total number of senator-judges down to 21, so that only 14 votes are required for a two-thirds majority conviction. Yes, this will become very easy for the prosecution, although it brings with it the risk of irreparably eroding the credibility of the impeachment court. Hence, even the worst-case scenario in a Robredo Impeachment Trial brings with it the real possibility of a two-thirds majority conviction, and the other scenarios only make the odds better. Yes, the prospect of a “Private Citizen Leni Robredo” is becoming clearer by the day, and this will probably result into several sleepless nights for VP Leni Robredo and Fafa Bolet as they go on their South African escapade. What are the political risks that Duterte may face during and after Robredo's impeachment trial?